Huawei’s Mate 20’s release is right around the corner and we have come across several leaks regarding what the device will have in store for users. 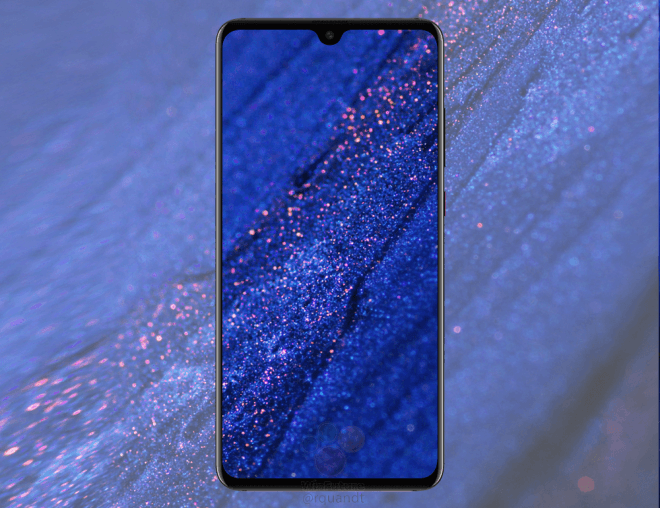 While the Mate 20 Pro leaks and rumors have surfaced several times, the regular Huawei Mate 20 remained hidden. However, a new leak has emerged claiming to show the device’s press images in full. Let’s dive in to see some more details on the design and cameras. While the general design elements of the Mate 20 resembles that of its bigger ‘Pro’ branded sibling, there are a few key differences that you should keep note of. For one, the Huawei Mate 20 boasts a waterdrop notch design instead of the full-blown one. This is due to the fact that the regular model does not feature all the 3D sensing technology which the Mate 20 Pro brags. So the smaller waterdrop notch is practical and encouraging. The source also claims that the device will feature a 6.43-inch panel with 1080 x 2244 resolution. If the claim is true, it seems the bigger Mate 20 Pro will feature smaller 6.3-inch curved display. Another key difference is the position of the LED flash. On the regular Mate 20 Pro, the LED flash is situated at the top right corner of the square-shaped triple lens camera module. On the Mate 20 Pro, the LED flash is situated at the top right corner. It would make it easier for consumers to identify just by looking at the back of the device in order to determine the model. The design of the Huawei Mate 20 is pretty much similar to the Pro model but not identical. Nonetheless, it would be a great buy as the triple lens camera setup is catching some serious attention. There will be more to the story, so be sure to stay tuned in for more details. This is all for now, folks. What are your thoughts on the claimed press images of the Huawei Mate 20? Share your views with us in the comments.